With compact design, light weight and affordable price, Chinese kitchen hood has large market share. It is widely used at home and restaurants, etc. For families with small size kitchens, it is a better choice. It only costs 1/3 of the price of European style China range hoods on the market. 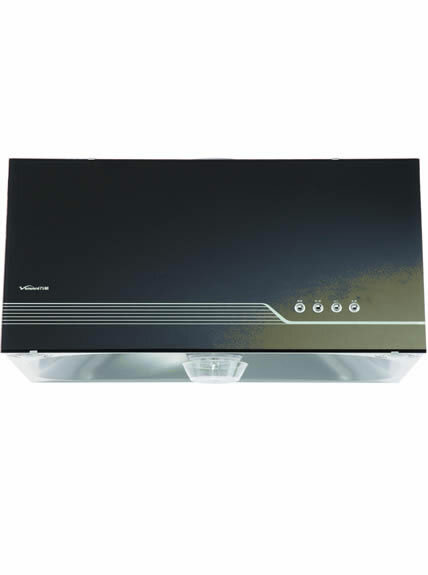 It is composed of outer casing unit, filter unit, vent fan unit, electronic control unit and air outlet unit. 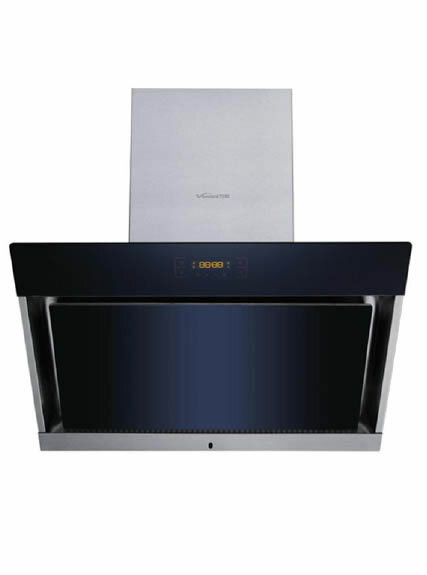 Working Principle of China Range Hood Chinese kitchen hood is installed above cooking ranges. After switched on and the motor is started, the wind wheel will spin in high speed, making a negative air pressure in a certain space above the cooking ranges. Then lampblack and gas will be extracted into the China range hood. Filtered by the oil screen, lampblack and gas are separated for the first time. Then they enter inside the air flue and are separated for the second time by spinning of the impeller. Lampblack and gas in the wind box solidify into oil drops by the centrifugal force. In the end, they are collected in the oil cup and the gas purified is exhausted through the fixed passage. 1. Using stainless steel and tempered glass, it is clean. 3. With big suction scope, Chinese kitchen hood can exhaust lampblack thoroughly. 4. China Range hood is with two pole motors. 350 m3/h extraction rate supplies clean air when cooking. 1. Chinese kitchen hood is modern, simple and stylish. 3. With CE certification, we can provide top quality and supreme service.